HOODIES AND MERCH NOW AVAILABLE! Welcome to The Mad Priest, and to the timeless rituals of communion, revelry, and friendship. We believe that good drinks open our minds to new possibilities, spark creativity, and bridge people and cultures. Our endeavor is to continue in the tradition of the early coffee houses of the Ottoman Empire that were places of socializing, intellectual discourse, political debate, and of course, lots of chess. We’re so glad you’re here with us to celebrate the array of color and culture that is our world. We proudly serve locally-roasted coffee from our sister company, Mad Priest Coffee Roasters. At our roastery just down the road, our staff, work tirelessly on the 15-Kilo Probat to roast each coffee to bring out the best natural flavors. 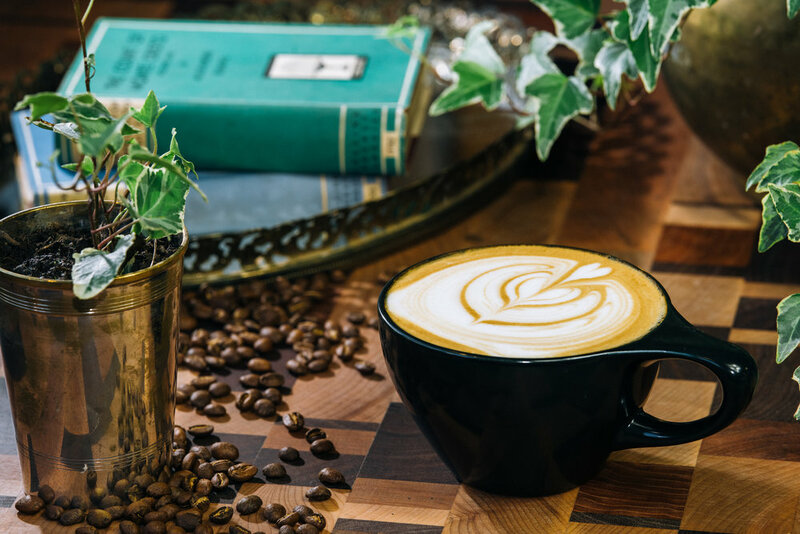 And with over two decades of combined experience in the coffee industry, including multiple Specialty Coffee Association (SCA) certifications and awards, our coffee staff make sure you get the best quality coffee possible! We serve a range of espresso coffee drinks, drip coffee, and manual brews of some of our specially selected single-origin coffees. We also have fun seasonal drinks, coffee cocktails, and unique teas that you won’t want to miss. Recently, Food & Wine named Mad Priest Coffee as Runner-up in TN for their “Best Coffee in Every State”. But don’t take their word for it, come experience it yourself! 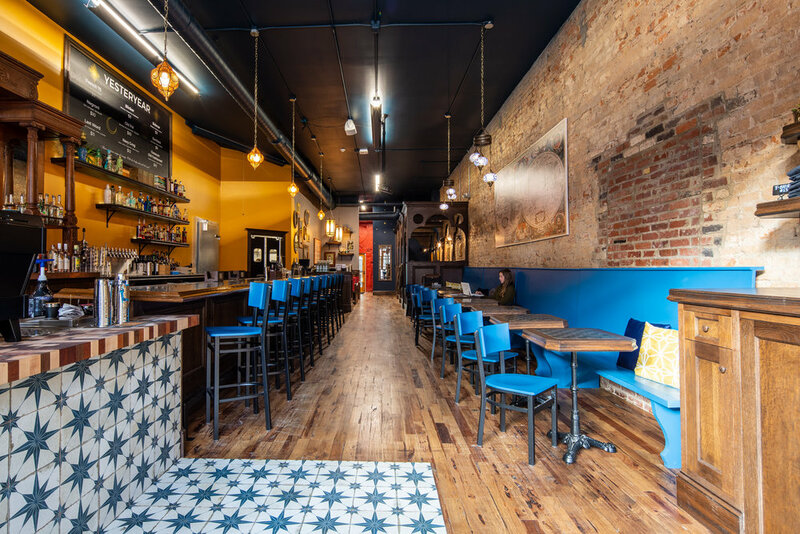 One of the main reasons we decided to combine the craft of cocktails and coffee in one space is the striking similarity of the two. 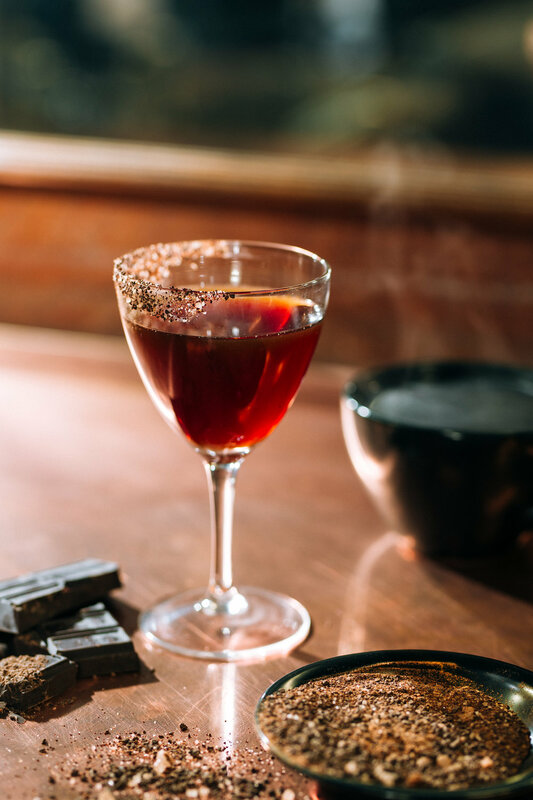 Both come from crops grown by farmers around the world, processed and sent to be distilled or roasted, and completed as a final beverage by bartenders or baristas (which is a fancy Italian word for bartender). Just like our coffee, we only serve the best spirits. Our cocktail program is led by some rockstar bartenders, not to mention our owner Michael, recently passing his CSS (Certified Specialist of Spirits) exam. Our team will ensure you have an incredible cocktail experience. We’ve got a very intentional selection of fine spirits, and our menu showcases our house creations alongside some of the greatest classics. At the Mad Priest, we don’t just talk about diversity, culture, and inclusion….We’ve built our menus around those ideas. And our food menu is no different. 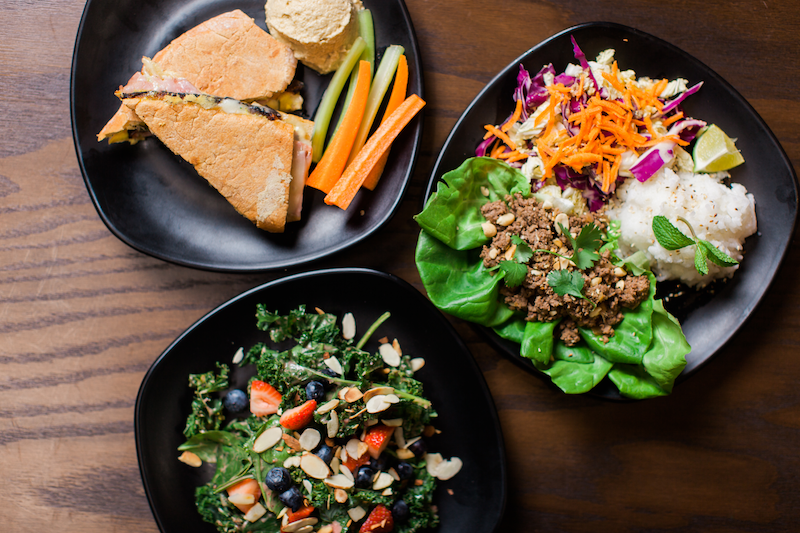 We have breakfast & lunch during the day and small plates at night, all with flavors from around the world (including vegan and gluten free options). 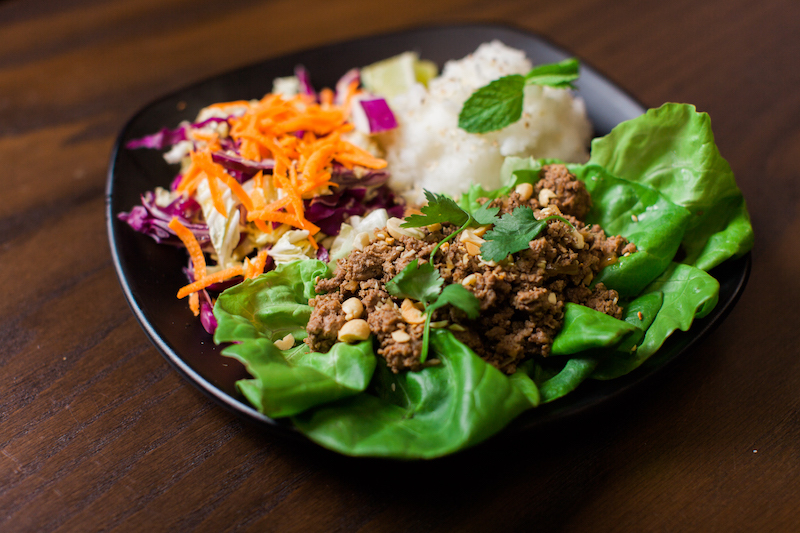 So you can try Indian parathas or Chinese-style congee for breakfast, and a Cuban sandwich or Laotian-inspired Beef or Tofu Larb salad for lunch. And starting at 5pm when we transition to full-service, we’ve got a falafel & hummus platter, spring rolls, or South-Asian meatballs to go perfect with a cocktail. Hope to share these incredible flavors with you soon! The original inspiration for the Mad Priest brand comes from incredible novel The Count of Monte Cristo by Alexandre Dumas. Edmond Dantès was ready to give up and die in prison, but just then the "Mad Priest" came on the scene and gave him a reason to hope again, along with the practical skills he needed to win at life. So the Mad Priest is a fictional character that embodies the fight for justice, freedom, and opportunity. And as a company, we are striving to do just that. Michael and Cherita Rice started Mad Priest Coffee Roasters in 2015 as a social enterprise + small-batch specialty coffee roasting company with the mission to “Craft excellent coffee. Educate the curious. Champion the displaced.” From the beginning, the focus has always been first and foremost on providing the best quality product, roasting our unique coffees to bring out the characteristics of each bean. Our coffee team is constantly involved in Specialty Coffee Association (SCA) conventions and competitions, and recently Food & Wine named Mad Priest “Runner-Up in TN” in their “Best Coffee in Every State”. But even beyond the product, we wanted to run a sustainable, for-profit business with a triple bottom line that included social and environmental goals alongside the economic one. We started out to hire refugees resettled in Chattanooga, and the vision has since expanded to work alongside non-profits and individuals on larger issues of social justice, community, equity, and inclusion. And with The Mad Priest Coffee & Cocktails, Michael Rice and Matt Sears are attempting to take both the stellar product and the social/environmental side of the Mad Priest brand to a whole new level. We are the first bar in Chattanooga to be nearly zero waste and 100% compostable, and we’re also green-light certified. And we continue to work with the local immigrant and refugee communities as well intentionally celebrate the diverse cultures present in our city while bringing folks from various backgrounds together. For parties of 6 or more, we require reservations.